Spoke is an exciting disruptor brand in the menswear market. Founded in 2014 it was born from the frustrations of finding quality menswear with a good fit. Customers quickly discovered their great fitting products took the pain out of shopping. With such a loyal customer base, Spoke realised the potential that referral marketing could offer. Radley, the iconic British handbag and accessories brand, has a loyal customer base who love their playful designs and quality craftmanship. 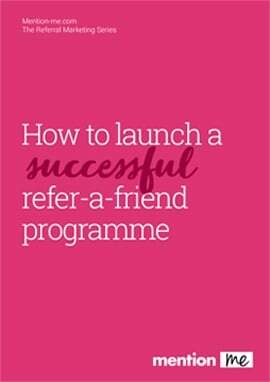 Keen to harness this advocacy, they selected the Mention Me referral platform to power their refer-a-friend program to build new customer acquisition and reward their happy customers for sharing the brand.